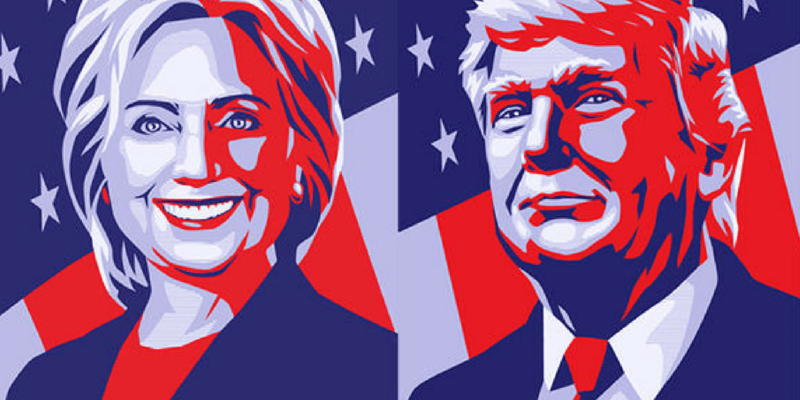 The 2016 presidential race has the makings of a circus; specifically a circus of the absurd. With three months to go before Election Day, the two major party candidates are being characterized as either a criminal or mentally ill. While this sideshow may provide limited entertainment during the dog days of summer, electing the next leader of the free world is no laughing matter. The danger in this ultimate reality show election is that the major issue in this election, the economy, is receiving scant attention. That is unfortunate because it is the economy’s lack of performance that has given rise to the candidacies of Donald J. Trump and Sen. Bernie Sanders. Wage growth is ultimately driven by a term we call productivity, which is a measure of how much output a worker can produce. Workers who are more productive typically earn higher wages. In the long run, it is the most significant driver of wages which, for the median worker, has flat lined adjusted for inflation over the past 15 years. With this recent history, there should be no wonder that politicians are stepping all over themselves with talk of protectionism or proposals to raise the minimum wage. The truth is that these are band aid approaches which do not address the reality that since the financial crisis in 2008, productivity is just one-third of what it was for the eight years prior to the crisis. An increase in the minimum wage will affect less than 2% of the workforce age 16 or older. Protectionist policies will raise the prices of most everything on most everyone. Looking at government as the savior is a real Hail Mary. The Treasury Department reported that for the past 12 months through June, government revenues increased by 2% while outlays jumped 4.3%. The political class needs to get its own house in order before proposing that they alone have the answers for the electorate. The U.S. economy remains the largest in the world. Its care deserves at least as much time from the media as Hillary’s emails or Donald’s wall.